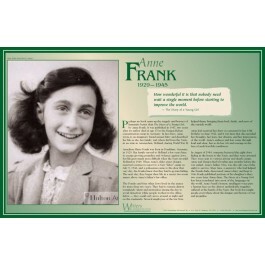 This poster features a beautiful photo and concise biography of Anne Frank. 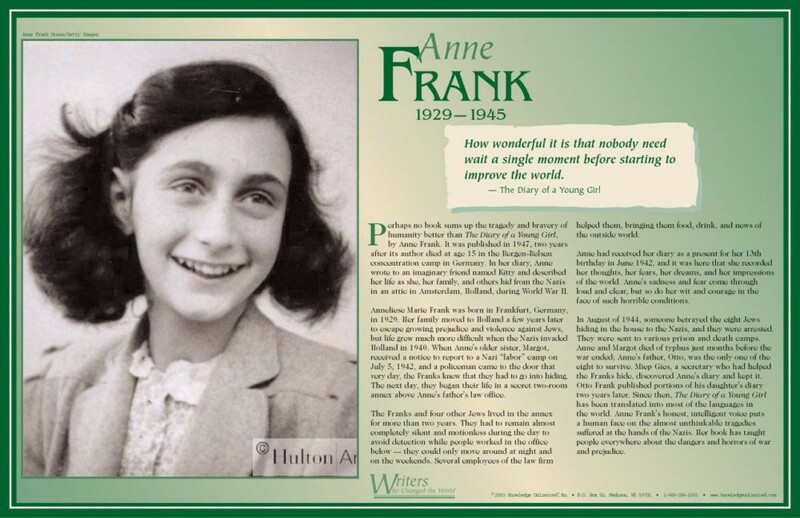 Her famous diary, written during the Holocaust, remains one of the most powerful testaments to the beauty and courage of the human spirit in the face of tragedy. The poster also features an inspiring quote from "The Diary of a Young Girl" that says: "How wonderful it is that nobody need wait a single moment before starting to improve the world."